SMI offers innovative systems for the transport of loose containers, bottles or cans and for clustered products, bundles and cardboard cases. 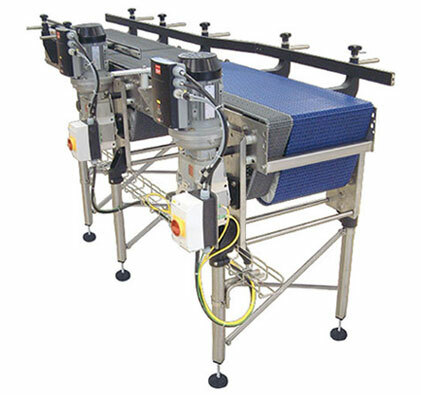 Made of stainless steel AISI 304, SMI conveyors feature a wide range of chains, in order to optimize the transport of plastic/glass bottles and cans, and several types of rollers ensuring fluid and regular movements, in order to avoid damaging the conveyed products. The use of top-quality components, together with wear-resistant materials, minimizes the friction and the noise and makes the maintenance operations easier, with a quality/ price ratio among the best in the sector. SMI conveyors are very easy to use, both during the production cycle and during the maintenance operations. In fact, any intervention to be performed by the operator is very simple and intuitive thanks to the POSYC control panel with LCD colour touch-screen. Furthermore, the automation of the movements ensures an optimal control of the product flow, according to the operation parameters of the whole line. Thanks to the modular design, to the 'mechatronic' architecture and to the high compatibility with other systems, it is easier to integrate SMI conveyors in several kinds of bottling and packaging lines, already existing or still to be designed; moreover, the installation, start-up and commissioning operations are simplified. Among the available options, SMI conveyors can be equipped with the 'friction-rollers' system, an ideal solution for the transport of bundles on the linear stretches. This system offers a compact, uniform sliding platform, thanks to a sequence of closely-woven rollers, made of stainless steel, with 18 mm diameter; it offers great advantages, such as a reduced wear of the components, a more fluid product flow, easier and reduced maintenance and cleaning operations. SMI conveyors are lubricated by an automatic nozzle lubrication system, which minimizes the noise level, the operational costs and the cleaning interventions. It can be supplied 'oil free' or 'water free', according to the customer requirements.